One of the easiest and most budget friendly ways to transform your space is to paint your walls. I always say that colored paint on walls is like makeup on your face. You always look better with it! Same goes for a room. Nothing can transform a drab space better than a couple coats of well chosen colored paint. Once you have sorted through all the paint chips and think you have found the perfect color I suggest you follow these tips so your room can look perfect. For starters, I always paint a patch on each wall of the room and wait for it to fully dry. Keep in mind that wet paint looks completely different than dry paint. Paint turns darker when its dry. However if you find the paint is drying lighter that means its cheap paint. (Cheap paint is clay based and that is why you might get water spots or permanent discoloration when it gets wet or you try to clean them). In other words, always make sure you buy good quality paint. I always use Benjamin Moore. 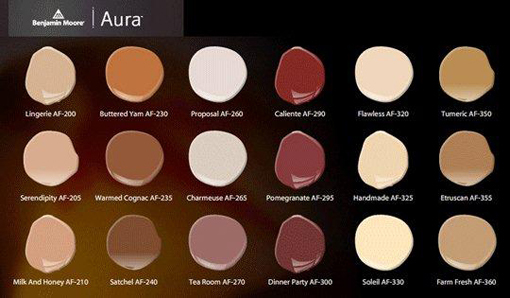 Their Aura line has some great colors and its environmentally friendly. Painting a patch on EVERY wall in the room is extremely important because the outside lighting or the positioning of windows will greatly impact the color. Also, check what the color looks like with artificial lighting. The color can look completely different depending on the time of day and type of light. Also, the paint color one wall may look completely different than the other wall. So if you don’t like the color on the wall that will be the focal point, you may have to reconsider that color. Light colors are usualy most pleasing for a ceiling, because ceilings are seen in shadow. If you’d like the ceiling to match the wall color, buy ceiling paint one or two shades lighter than the wall color (on its color chip). Or, dilute your wall color with white paint in a ratio of 25% color to 75% white. Choose the right finish. Paint is available in the following finishes – flat, low luster, semi-gloss, gloss and high-gloss. Just keep in mind that the glossier it is, the more imperfections will show. Generally walls are painted with either flat or low-luster paint and the trim is done in one of the gloss paints. Sometimes its useful to paint a kitchen or a bathroom in a gloss finish as it is easier to wash.
Don’t copy paint colors from a magazine! The photographs in publications are almost always altered so that particular paint color will NEVER look the same in your house. And lastly, have fun with it and enjoy your new look. Welcome to the Semerjian Interiors Blog. I am so excited about the launch of my website! Since starting my own business 5 years ago, I have worked on so many exciting projects and learned so much. I have been fortunate to have absolutely lovely clients with even lovlier homes and am looking forward to posting some more pictures of current projects. 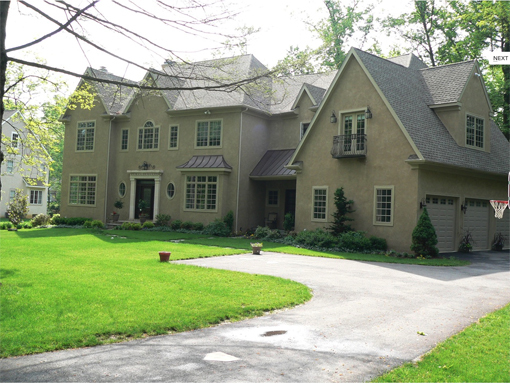 Some of my current projects include homes in Wayne, Devon, Haverford, Newtown Square, Media and Margate. 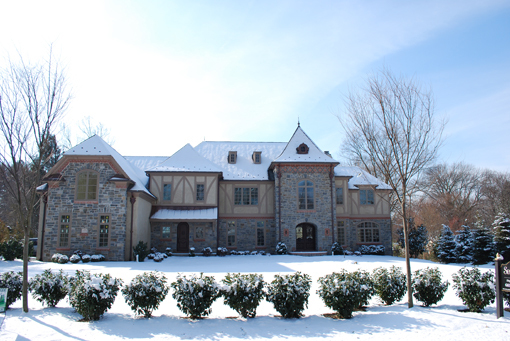 The Main Line area is so full of gorgeous homes and I have been extremely lucky to have the opportunity to make so many of their interiors match the level of detail and beauty of their exteriors. I’ve attached some photos of the exteriors of my current projects. As an interior designer I have the opportunity to work with some of the top builders in the area. I can’t wait for the interiors to be complete so I can post my work!